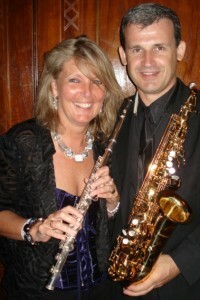 Course Listings – Flutes, Clarinets & Saxophones en Vacances Flute Courses, Clarinet Courses and Saxophone Courses for Adult and Student Flute, Clarinet and Saxophone players. Please link for a quick view of what we offer at each venue. For full details of each course then please look at specific instrument course pages. Accommodation ranges from single/double/twin ensuite or not ensuite, occasional “cheap and cheerful’ beds in a private sitting room or a small apartment with kitchenette, bathroom and living facilities – all dependent on the venue. Partners are welcome on all courses. We are a dynamic team of professional musicians with over 35 years of experience. Both Nick and Julie have played and taught extensively throughout the world in their careers and are now highly respected as top level consultants in their field. Groups vary in terms of playing level so please ask if you are unsure as it is important to feel comfortable and secure. All courses require some level of reading. For many Adult players, the understanding of musical notation is the trickiest part. At beginner level, we can help you to establish note reading and rhythms. For Improver and Intermediate levels, we take the view that everyone makes mistakes, but is doing their best and offer help accordingly! By Advanced level, a fluent level of reading is required.